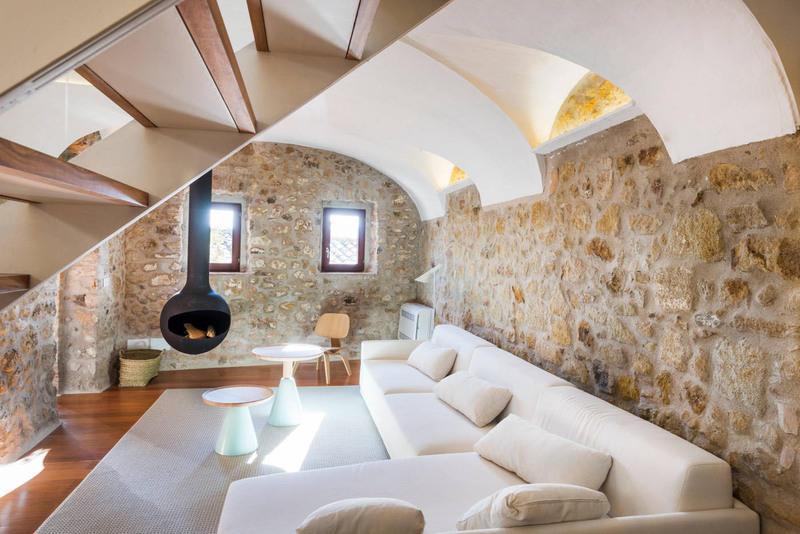 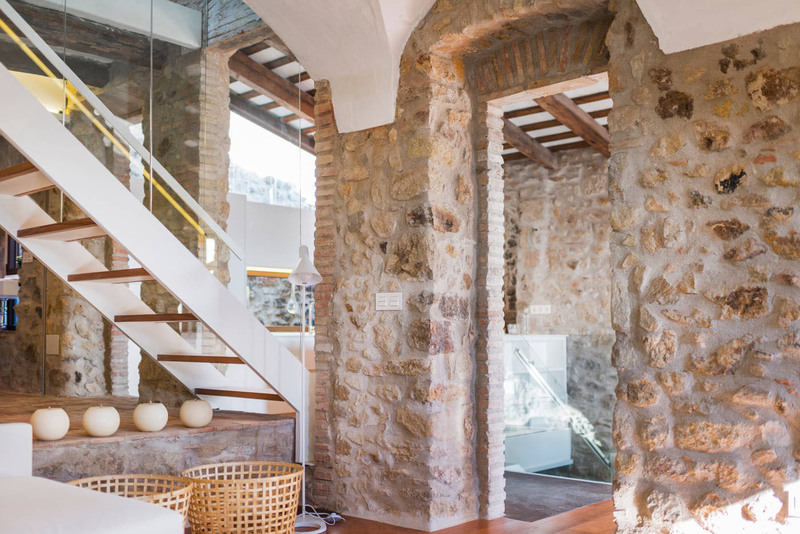 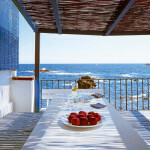 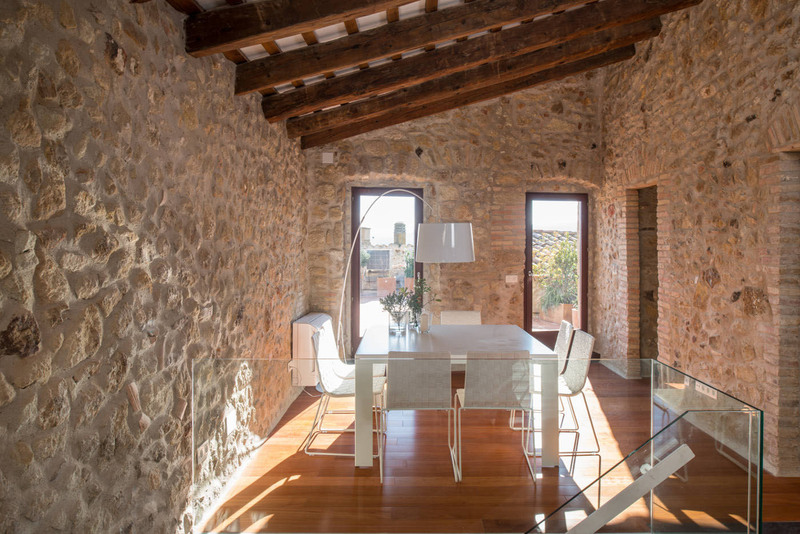 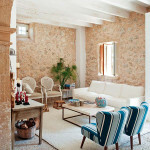 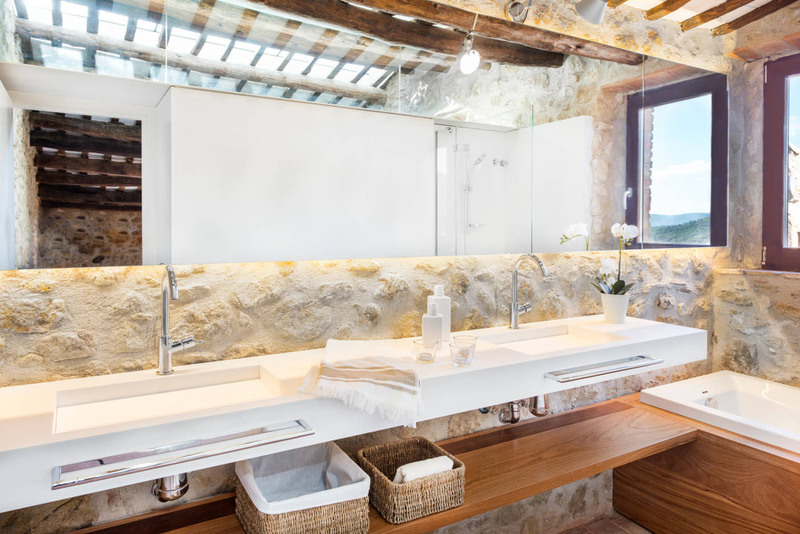 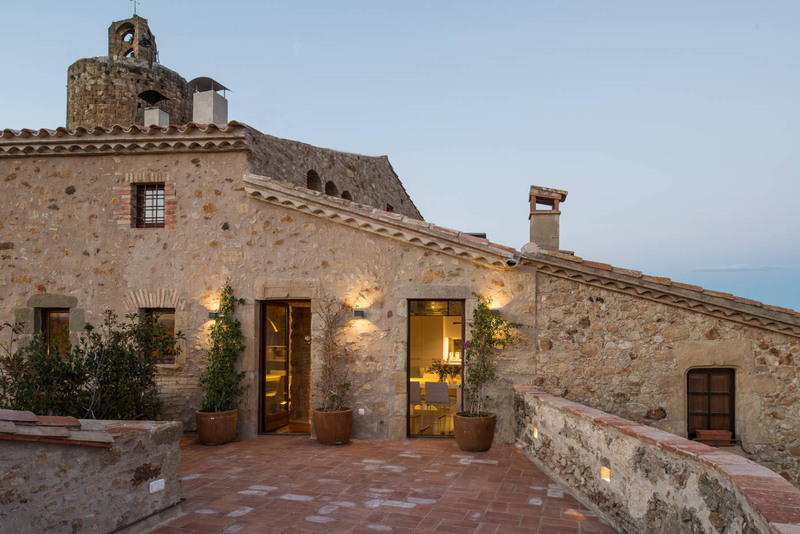 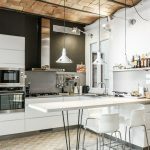 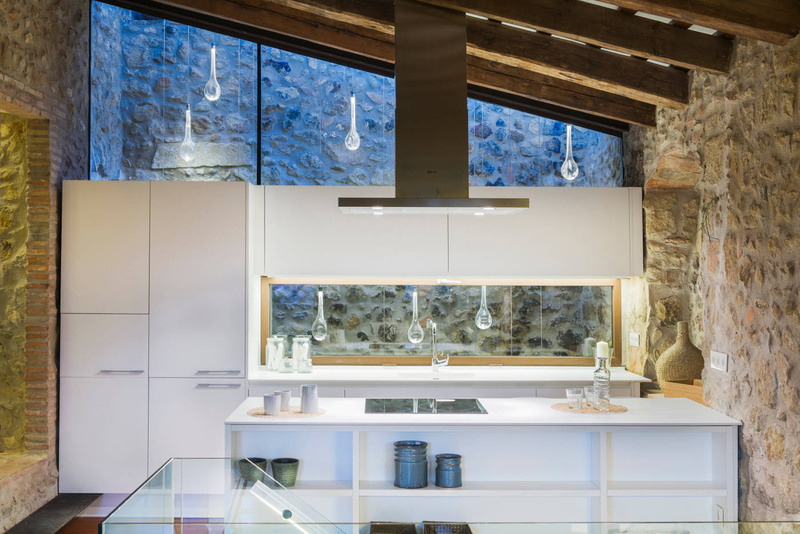 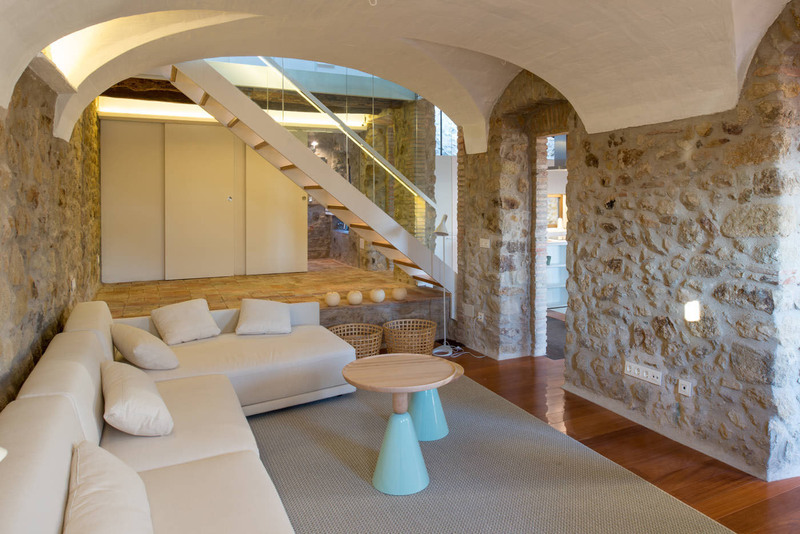 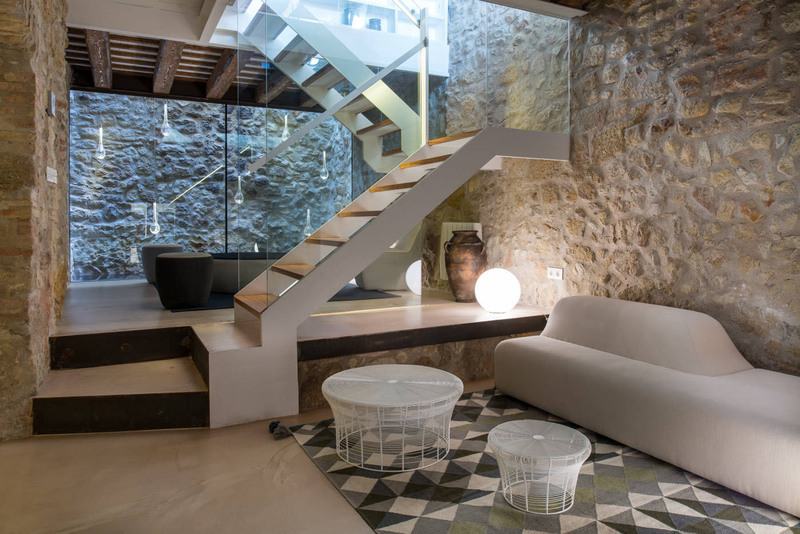 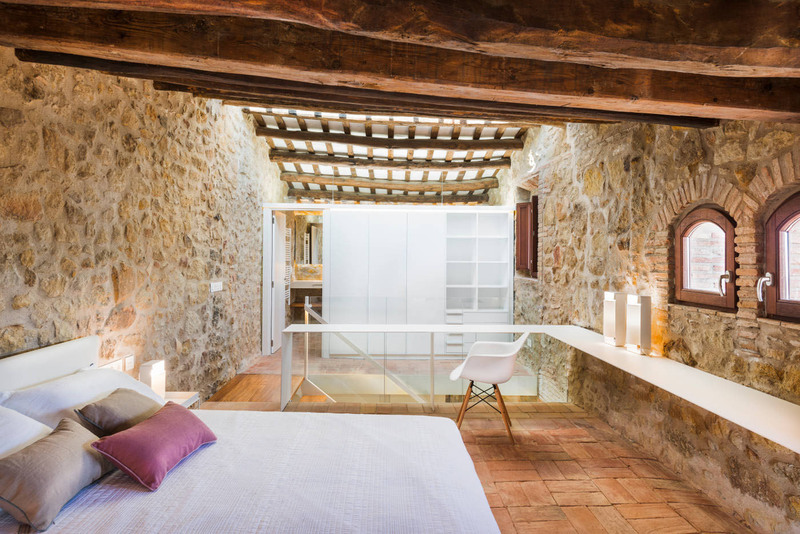 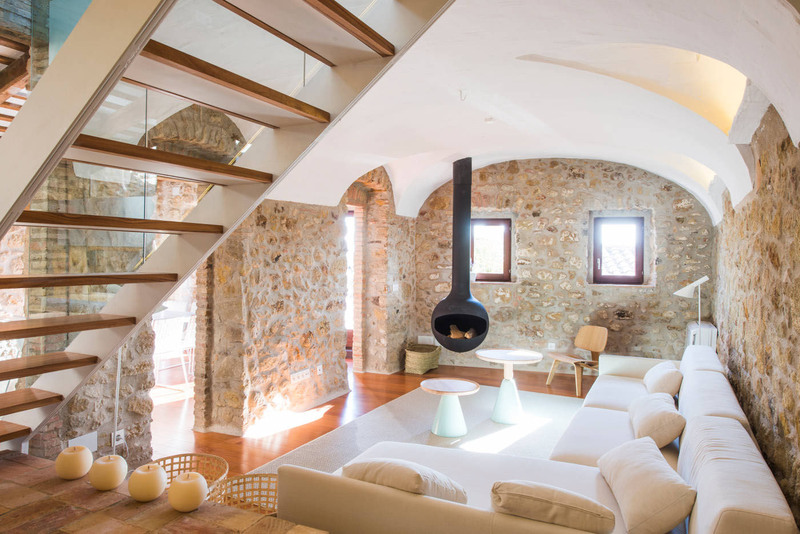 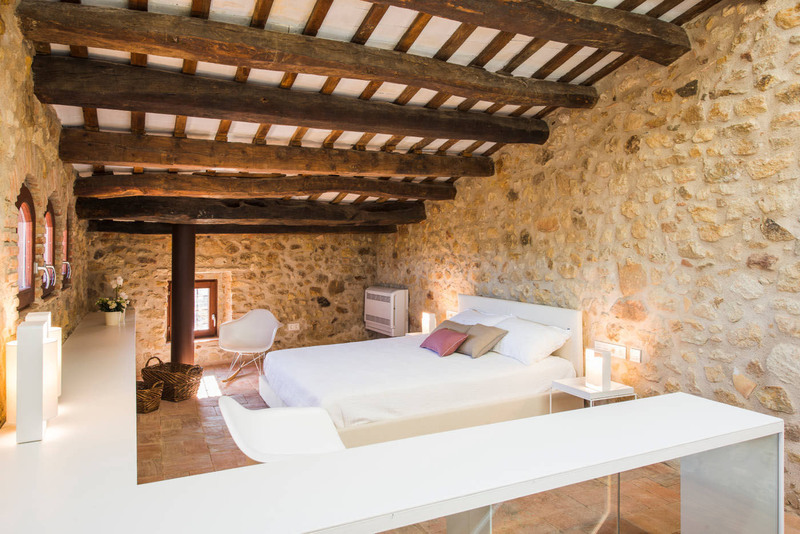 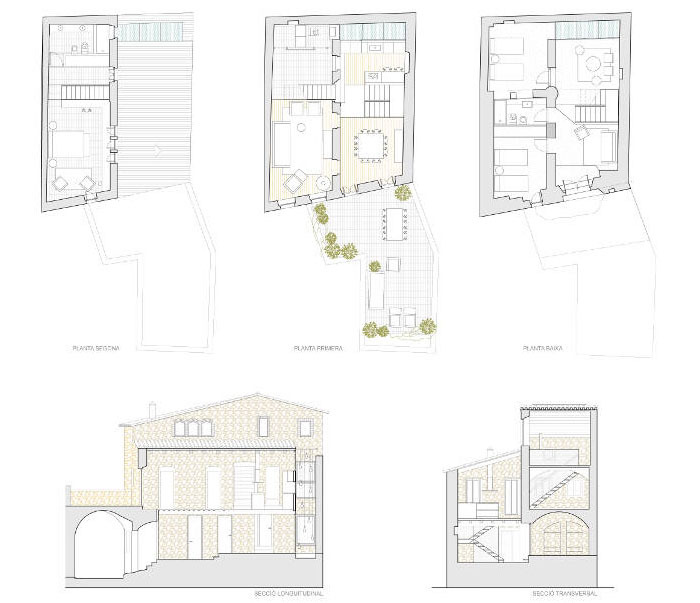 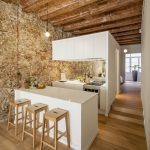 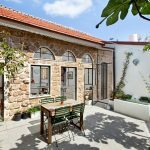 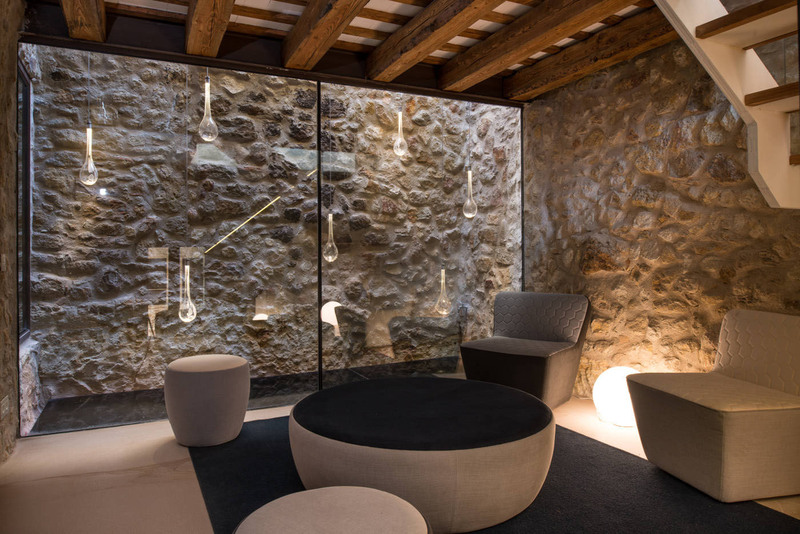 Located in the medieval town of Pals in Baix Empordà, Girona, Spain, this historic stone house built in 1889 has been restored and modernized by Gloria Duran Arquitecte. 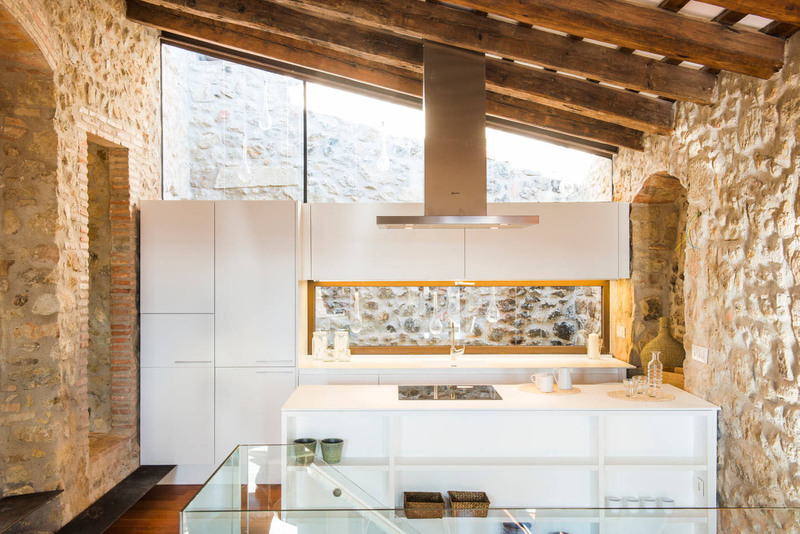 The original structure, wood beams and stone walls have been preserved. 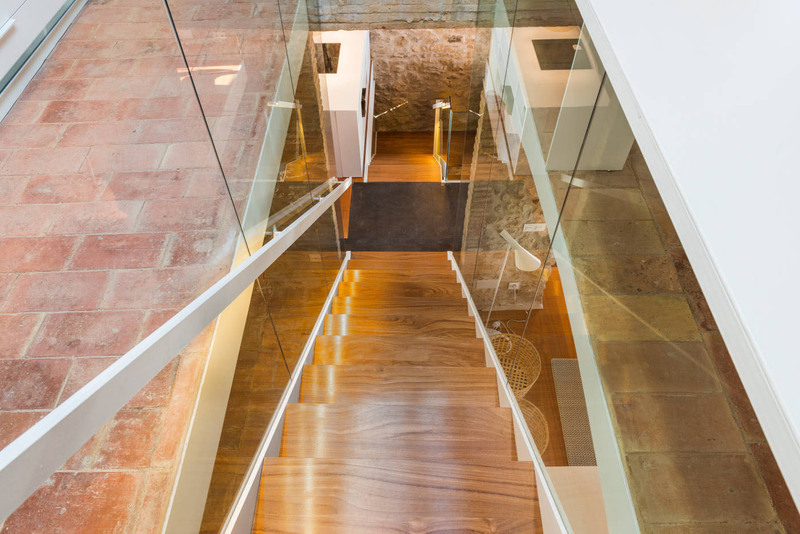 A modern transparent staircase connects the three floors while dividing the spaces within each floor.